I saw the trailer of this British-Indian horror film, while searching for notable horror films of year 2016. The film is titled ‘The Other Side Of The Door’ and the story of the film is based in India and United Kingdom. A mother lost her son in a tragic accident in India. A woman told her about a secret Indian temple where she can have a last interaction with her dead son. The mother was warned not to open the door of the temple but the woman opened the door of the temple and mayhem starts happening in her life after coming back to Britain. In the film an Indian shaman appears at the woman’s house warning her about the possible danger she has brought with her from that secret Indian temple. The get-up of that shaman is very much inspired from Indian Naga Sadhus. The Naga Sadhus are the ultimate advertisement for living a life that is in sync with all of nature. The western world and the westernized sections of Indian media are obsessed with their nakedness and forget to see them for their amazing grace and powerful existence. Hollywood horror films are considered way better to Desi Indian horror films, which are notorious for its stereotype content and cheap production values. 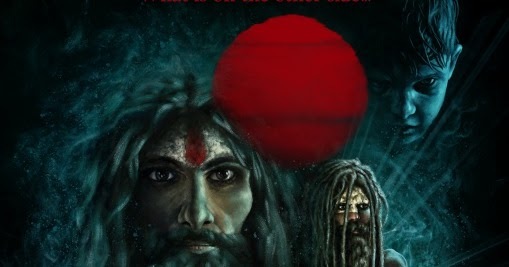 So watching a mainstream English horror film using the locations and characters of India is quite intriguing. The horror filmmakers from India could take a lesson from this.